With a stay at Exploria Express by Exploria Resorts in Clermont (West Kissimmee), you'll be within a 15-minute drive of Walt Disney World® area and Disney's Blizzard Beach Water Park. This family-friendly hotel is 7.1 mi (11.5 km) from Walt Disney World® Resort and 8.2 mi (13.1 km) from Disney's Animal Kingdom® Theme Park. Make yourself at home in one of the 155 air-conditioned guestrooms. Complimentary wireless Internet access keeps you connected, and cable programming is available for your entertainment. Private bathrooms with shower/tub combinations feature complimentary toiletries and hair dryers. Conveniences include complimentary weekday newspapers and irons/ironing boards, as well as phones with free local calls. Dip into one of the 5 outdoor swimming pools or enjoy other recreational amenities including a water park (surcharge) and outdoor tennis courts. Additional amenities at this hotel include complimentary wireless Internet access, an arcade/game room, and gift shops/newsstands. If you're planning a day at a nearby theme park, you can hop on the complimentary shuttle. Enjoy American cuisine at BIG KAHUNAS, one of the hotel's 2 restaurants, or stay in and take advantage of the room service (during limited hours). Wind down with a drink at one of the 2 bars/lounges or 2 poolside bars. A complimentary hot/cold buffet breakfast is served daily from 6:30 AM to 9:30 AM. Featured amenities include a business center, limo/town car service, and express check-in. Planning an event in Clermont? This hotel features 1890 square feet (176 square meters) of event facilities. Free self parking is available onsite. The preferred airport for Exploria Express by Exploria Resorts is Orlando, FL (MCO-Orlando Intl.). Quieter with less crowds, but easy access to Disney. 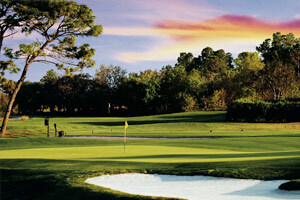 Tip: ChampionsGate golf resort was designed by Greg Norman. Distance: 27 miles to airport. 7 miles to Disney.